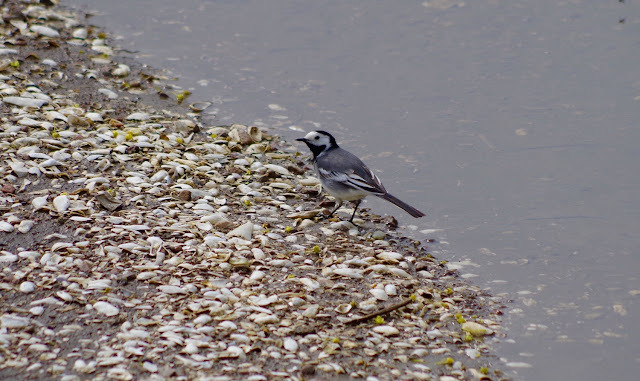 Compare this pied wagtail to the one published the other day. Similar habitats, don't you think? You couldn't be more wrong. 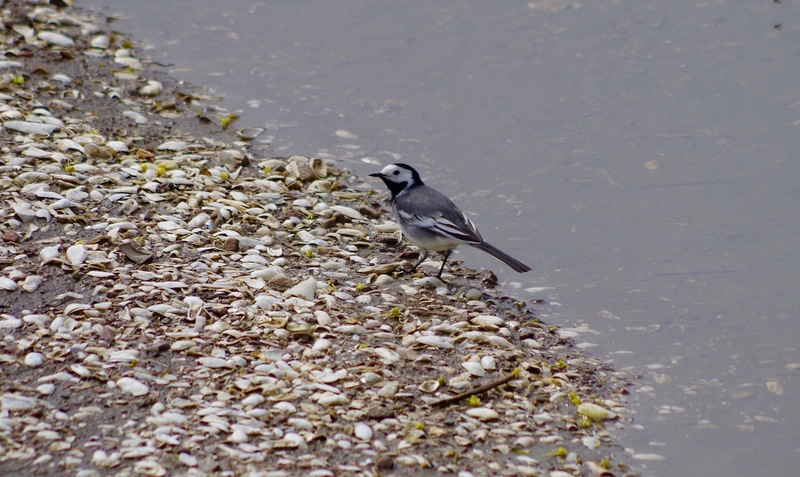 While the other one lives by the sea, this one has taken up residence at a small fresh water pond. The sea shells here are fossils, 10,000 years old. Skalbankarna nature reserve, Uddevalla, on May 9, 2015. Pentax K-50, ISO 200, 300mm, f/7.1, 1/800.